Please click here to watch ERIC Seminar. Deakin University and YSAS are conducting a study into effectiveness of Practitioner-guided Emotion Regulation & Impulsive Control Interventions specifically designed for young people with AOD and other behavioural health problems. In this seminar, Kate will discuss the development and preliminary findings of the intervention including the 8 ERIC domains that target 8 empirically supported processes that foster emotion regulation. 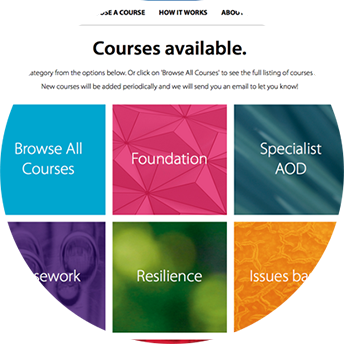 Free online learning courses. Courses designed especially for Practitioners supporting young people 12 – 25. Would you like to connect with us?